Sure, that’s a lot of opposition in the title up there, but I think we can all unite in our excitement at getting two brand new DC animated movies in the next few months. What’s more, Warner Bros. Home Entertainment will host the premieres of both Justice League vs. 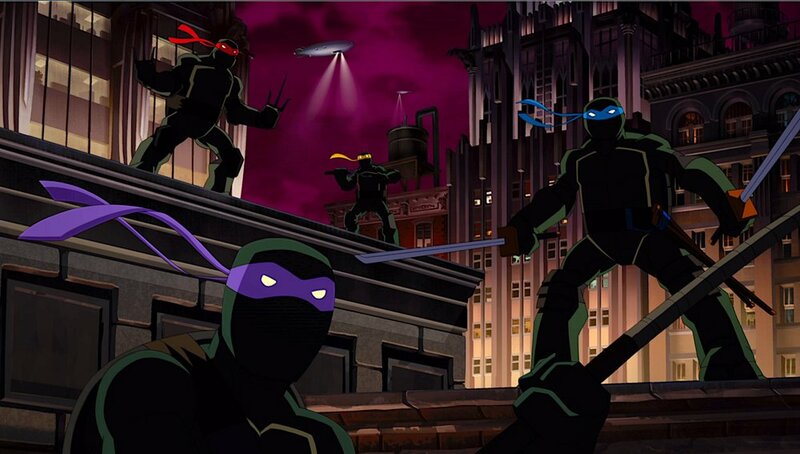 The Fatal Five and Batman vs. Teenage Mutant Ninja Turtles at WonderCon Anaheim next weekend. And (somehow) even better than that? There will be panels featuring the cast and crew of each film, including Kevin Conroy, Susan Eisenberg, George Newbern, Troy Baker, Sam Liu, and Bruce Timm. Seriously, if you’re going to WonderCon, you need to carve out time to hit up both of these premieres. Check out the details below, including the dates and times of each premiere, as well as a brand new clip for Justice League vs. The Fatal Five. And as always, let us know if you’ll be there in Anaheim. 1:45-3:45pm World Premiere of Batman vs. Teenage Mutant Ninja Turtles — It’ll take the unlikely unification of The Dark Knight and the Heroes in a Half-shell to overcome combined villainous forces afoot in Gotham City in the all-new, feature-length animated thriller, Batman vs. Teenage Mutant Ninja Turtles. WonderCon will be held March 29-31. Justice League vs. The Fatal Five will premiere Friday night, March 29, with Batman vs. Teenage Mutant Ninja Turtles premiering on Sunday, March 31.